Detailed guide for the Cooperation Guide for the Tower Arcana. We will update this as we go along. Shinya Oda is known as the boy genius player and serves as the Tower confidant. As the Tower, he grants you and your party more ammo. Shinya is an elementary school boy who is dubbed as the boy genius player, representing the Tower Arcana. He takes pride in his ability to win in a certain online shooting game. Often times, he plays in an arcade in Akihabara. However, he seems to long for the power of the Phantom Thieves. He did meet the protagonist however at one point. The protagonist met Shinya in an arcade and they play a shooting video game where Shinya was able to easily beat the protagonist. On 9/4, shortly after Akihabara opens, Mishima should send a text for a mission. Visit the Game Center in Shibuya and talk to the NPCs there with text. From there, ask about the cheater. In doing so, you’ll trigger the chance of talking to Shinya Oda. The Tower confidant allows you to expand your ammo limit and down enemies using a gun. 1 Down Shot Unload an entire magazine to down an enemy. 2 Random Fire During a chance encounter, there’s a chance of random fire which lets you reduce 1/5 of an enemy’s HP. 3 Warning Shot During negotiations with a persona, you can fire a warning shot. 5 Bullet Up Increase the ammo limit for all players. 6 Conserve Shot Reduce the bullet cost for the down shot. 8 Electric Slug Random Fire damage is increased. 10 Oda Special MC’s gunning abilities now disregard the enemy’s affinity to bullets. Visit the Game Center in Shibuya. Talk to the NPCs there to find out about the cheater. Confirm the target at your base for Mementos. Find the target before surviving for three turns you will be forced to retreat to mementos entrance. After you leave, the crew tells you to find the Gamer King. Head to the game center in Akihabara and a scene will trigger. After, talk to Futaba when she’s in front of LeBlanc. Pick any decision and then when you talk to the Game King at the game center you can start the first rank. 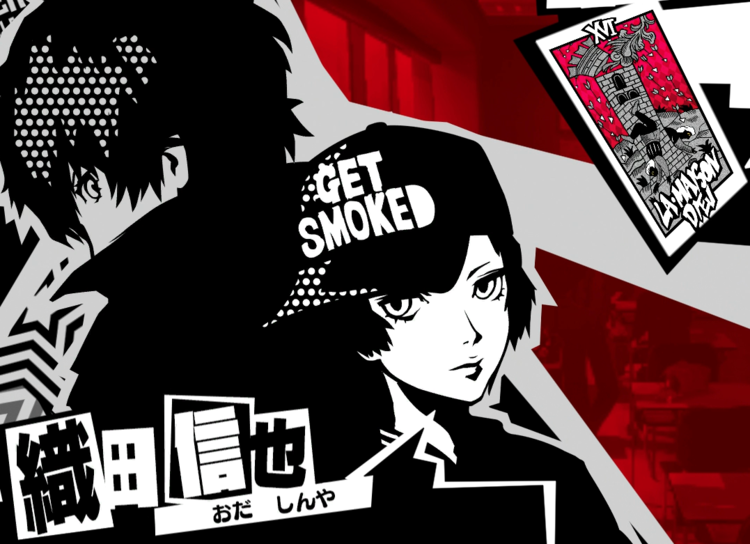 The first rank’s coop ability will allow you to finish the mission when you go back to Mementos. Unlocks Down Shot, which lets you spend an entire magazine in one turn to down an enemy. Hey, on R3 it’s says 2nd choice but it’s actually the 4th choice. Please let me know if you’re looking for a writer for your blog. You have some really good articles and I feel I would be a good asset. If you ever want to take some of the load off, I’d really like to write some material for your blog in exchange for a link back to mine. Please send me an email if interested. Many thanks! From rank 4 and onwards they are wrong and don’t even make sense…. Hi sorry about that! It must’ve mixed with the other arcana. But I’ve updated and fixed it! ??? ?